It may be banned from store shelves but Four Loko is one of the hottest products on craigslist. A 4NewYork hidden-camera investigation exposed just how easy it is to buy the alcoholic energy drink from private dealers who stocked up before the FDA forced Four Loko manufacturers to eliminate caffeine from their recipe. After responding to posting from an Upper East Side Four Loko dealer, WNBC was able to purchase a case of twelve cans for $80, a mark-up of more than 300 percent. Since November, dozens of sellers have posted craigslist ads charging anywhere from $4 to $8 per can. When the drink was legal, buyers paid only $2 to $3 per can. The controversial drink, nicknamed “Alcopop” or “Blackout in a Can” was first banned from the New Jersey campus of Ramapo College when 17 students were hospitalized after drinking the potent formula. Since the ban, Mahwah Police Chief James Batelli has been instructing his cyber-detectives to investigate craigslist posters who advertise cases of original formula Four Loko at steep prices. “We have several ongoing investigations right now with people who are selling Four Loko on the web and our goal obviously is to affect an arrest of those. In New Jersey, selling Four Loko or any other alcoholic drink without a liquor license is a crime punishable by up to three years in jail. “The risk factors are the same but now you’re pushing it behind closed doors because they realize it’s a banned substance so it’s something we’re concerned about, said Batelli. In a related development, parents of a Pompton Lakes teen buried him in Hollywood, Florida Monday after a Four Loko drinking binge left him unconscious. Relatives of Filipe Cavalcante, 18, say they had to take the teenage guitar enthusiast off life support on January 3rd. Cavalcante apparently drank three to four cans of the alcoholic energy drink in a night club parking lot and blacked out last week. 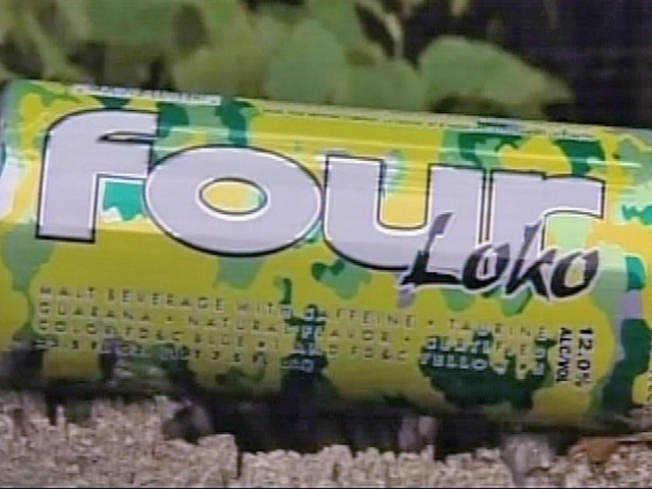 The man who sold a case of Four Loko to WNBC claimed he was selling the cans as “collectibles,” not to be consumed. The excuse would not pass legal muster, according to Batelli. “It’s a very expensive black market item that people are price gouging and making a lot of money on and they’re making a lot of money on people’s health,” Batelli said.